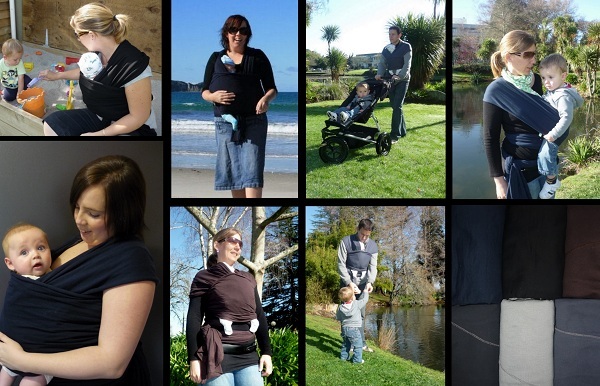 Thank you everyone who has joined us so far over at the New Zealand Babywearing Week Facebook page. To celebrate our 400 page members we have a Snuggle Bug stretchy wrap in navy blue to give away to one lucky page member. Snuggle Bug wraps are made here in New Zealand from 100% cotton which has been milled in New Zealand. Snuggle Bug wraps are a one size fits all carrier and are suitable for carrying babies from newborn till about two years of age. Another giveaway will be happening to celebrate 500 Facebook page members – keep an eye out for details. Here’s to celebrating babywearing in New Zealand. This entry was posted in Giveaways, New Zealand Babywearing Week, Stretchy Wraps and tagged babywearing, giveaway, New Zealand Babywearing Week, NZ Babywearing Week, Snuggle Bug, stretchy wrap. Bookmark the permalink.